I don’t understand why 30 year old women love Taylor Lautner. 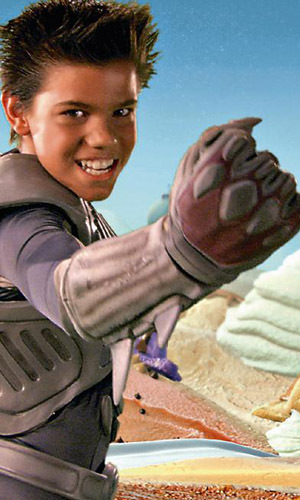 He’ll always be Shark Boy to me. A headache has descended upon me…it’s arse needs to be kicked before I host trivia tonight, or I’ll be no fun. I ran 2.5 miles today! Go me! The Winter Olympics make me think of my dad. Wish I could be in Perry watching with him. Annie buried her treat under the cushion of her bed. Now she can’t find it, and it’s amusing me….so I just got up and got it for her. She promptly re-hid it. Probably pretty ticked that I found it so quickly.